Volcanoes, mystical lakes that change colour, flesh-eating dragons, majestic whales and the friendliest people on earth… Indonesia blew my mind and seeing it from the perspective of a seafarer was a magical experience. This was no ordinary trip! 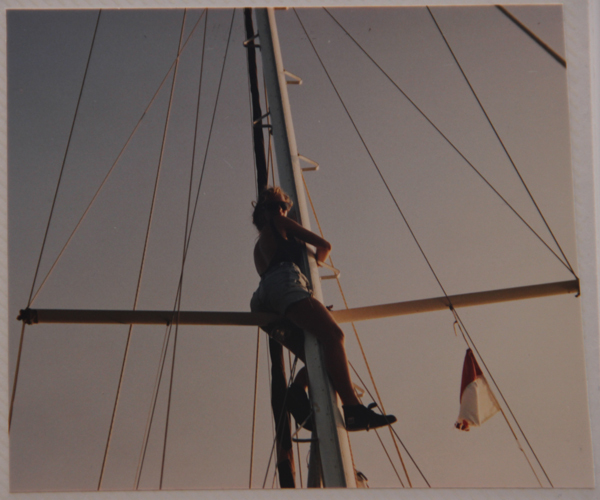 It’s 1993 and I’ve been bitten by the sailing bug in Australia. My next adventure, I decided, was going to be Indonesia. 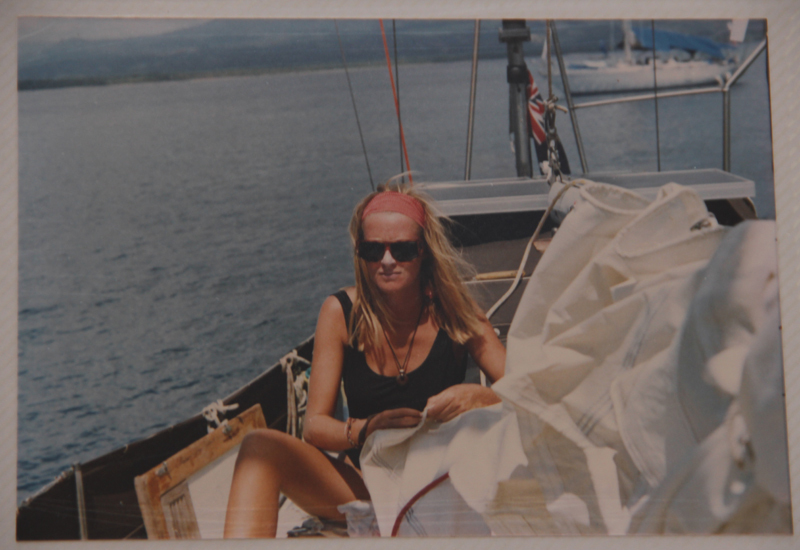 I’d heard about a yacht race from Darwin to Ambon, in Indonesia’s spice islands. How exotic! Nearing the end of my backpacking trip in Oz, I headed for Darwin to offer myself as crew. I didn’t end up doing the Darwin-Ambon race, but I met other yachties in Darwin who were planning to cruise through Indonesia. I hitched a ride on a 36 foot steel sloop called Miss Conduct. The deal was: share the cost of provisioning the boat and share the sailing duties. 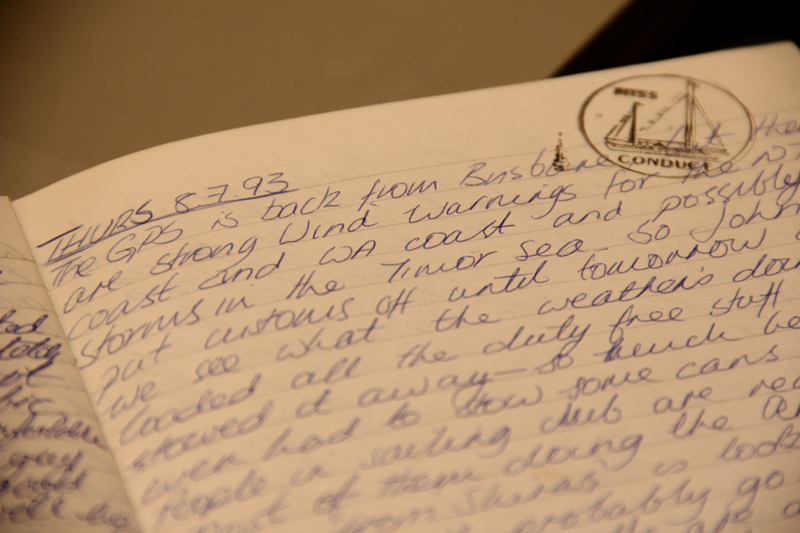 Our crew of three consisted of the owner, myself and another backpacker – a German guy. I signed up to island-hop as far as Bali, which would take about two months. We spent the next two weeks preparing for the voyage. While skipper sorted out the paperwork (immigration, customs, visas, etc) us two crew mates cleaned the hull (blissfully ignorant of crocodiles in the harbour) and stocked the boat. We finally left on July 10th. I’ll never forget the excitement I felt as we sailed out of Darwin Harbour. I remember looking back as the landmass of Australia grew smaller and smaller, until eventually it vanished. I don’t know if you’ve ever experienced life on a small boat on a vast ocean, it’s surreal to be surrounded by water as far as you can see, not knowing what lies ahead. A couple of days into the voyage we saw a boat on the horizon, sailing towards us. Of course we’d heard all the stories about pirates in Indonesian waters. The truth was most pirates operated from large speed-boats and would usually target commercial ships and tankers. 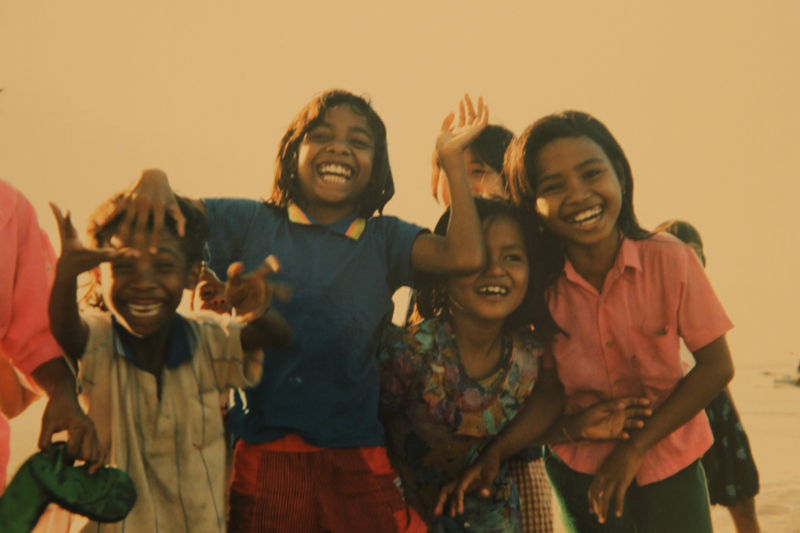 This was 1993, way before I’d ever heard about people-smuggling boats from Indonesia to Australia. We soon realised that it was just a fishing boat, keen to come and say hello and they were just as curious about us as we were about them. Talking of fish, we had a plentiful supply. After several days on land we set sail for Alor island, which is part of the East Nusa Tenggara group. Today Alor is a popular scuba diving location. The island is predominantly Protestant but is also home to Muslims – I remember hearing the muezzin’s prayer call early in the mornings. A magical place. We slowly made our way east. This was cruising so we’d find a nice bay to anchor in, stay for a night or few, explore the area, meet the locals, soak up the island life. 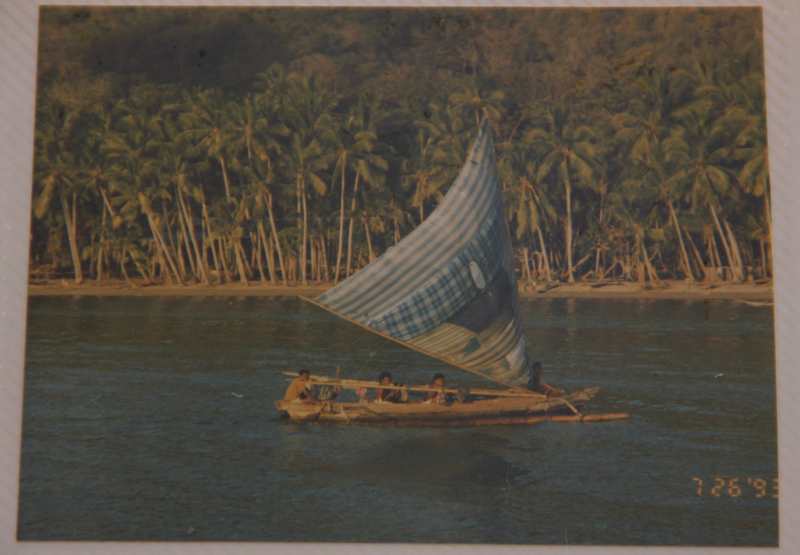 While we were safely anchored in our steel-hulled yacht it was interesting to watch the local sea-craft, made out of whatever materials they could find: a dug-out canoe with a sail made from “shopping bag” material and bamboo outrigging. It was pretty cool to sail past a volcano. This first happened near Lembata island (also called Lomblen). 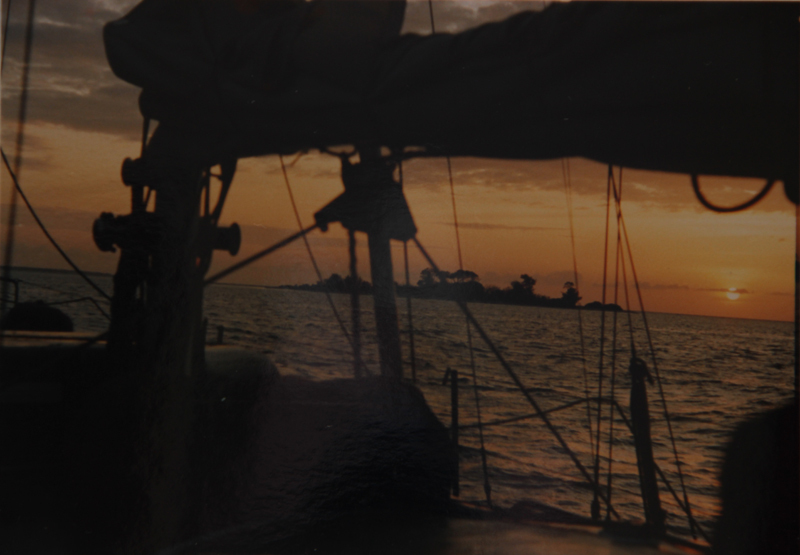 We anchored in a beautiful palm-fringed bay in the north, near a small village called Lewaling, with the volcano Ili Api ominously steaming in the background. 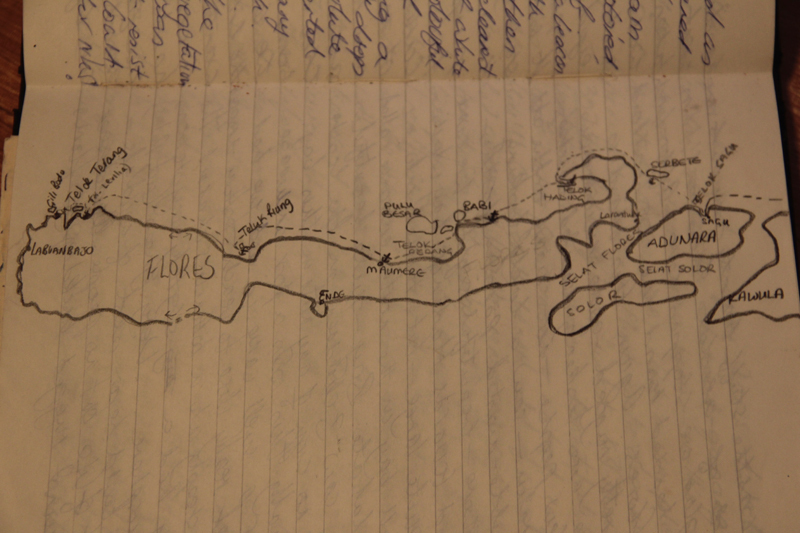 I described the bay in my journal: “Huge palm trees, small beach, wooden huts, many canoes and many, many smiley faces”. The people were so friendly and would shout out “hello” as they sailed or paddled past. As well as fishing and some basic food-growing the other forms of livelihood on this island were pearl diving and traditional whale hunting. The island has a long history of whaling, it’s not commercial but just to sustain the local population and it’s allowed because it’s part of the culture. 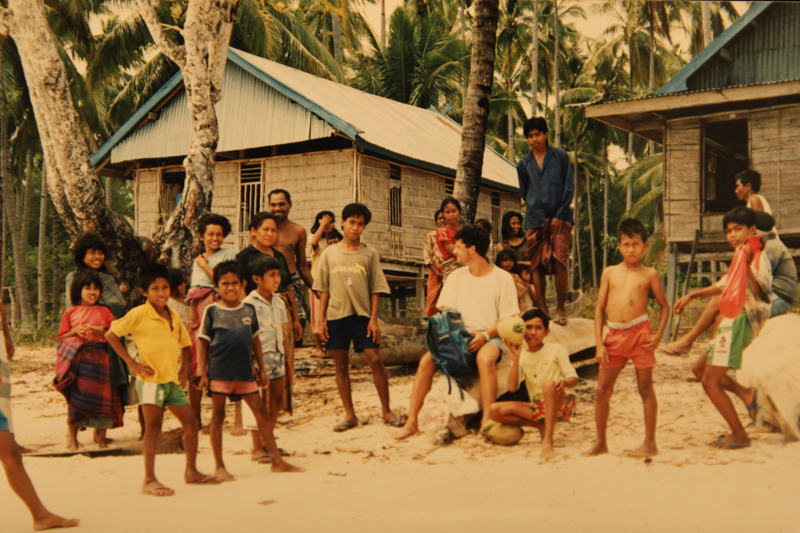 Whenever we went ashore it seemed like the entire village would gather on the beach to welcome us. Once we’d shaken hands with everyone and high-fived all the kids, we’d go in search of the local market for some fresh supplies. I remember one day, keen for some fresh protein, we bought a chicken from a village. I was shocked when someone handed me a live bird. In my broken Bahasa and a bit of sign language I explained that we’d prefer it dead, plucked and gutted. No problem! The crude reality of killing your own dinner is something we couldn’t avoid on this trip. It’s easy to describe this place as paradise when you see its beauty and experience the warmth of the people. But the reality is these islanders are extremely poor, they work very hard, have limited or no access to healthcare and education and live under the constant threat of a volcanic eruption. Yet they were some of the most welcoming and happy people I’ve ever met. The island of Flores and its awesome volcanoes was a highlight of the trip. First we stopped in the deserted Hading bay, at the eastern end where a rugged backdrop of peaks and volcanoes and the sound of wildlife at night made for a surreal atmosphere. Flores is one of Indonesia’s most tectonically unstable islands. At the port town of Maumere the destruction from an earthquake and flood the previous year was apparent with many buildings still in ruins. 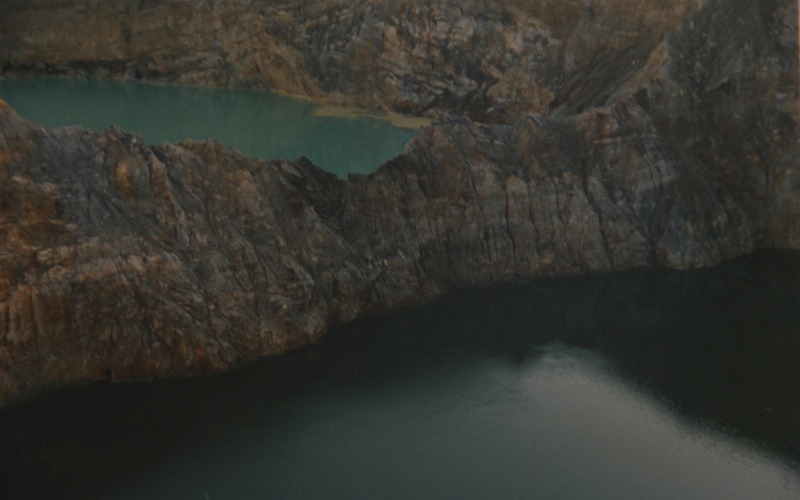 We took a four-hour bus ride up to Moni to see Mt Kelimutu and its famous crater lakes. A pre-dawn trek up to the peak rewarded us with an amazing view of sunrise as the lakes slowly came to life: one bright turquoise, one deep mauve, the other deep green. I’ve never seen anything like it. Apparently the lakes change colour over time due to chemical reactions between the minerals and volcanic gases. Sadly these photos don’t do it justice. Content that I’d seen a volcano close up we continued our passage east along the north coast of Flores, stopping at Riuing bay, Terang bay, a small islet called Gili Bodo off the northwest tip of the main island, and Kokotoan islet. 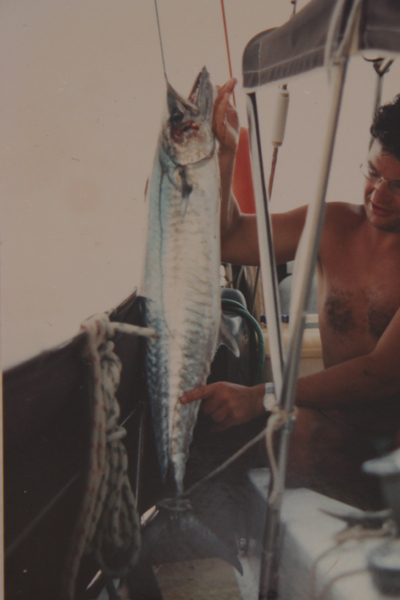 Our days were spent trimming sails, dodging reefs, snorkelling over beautiful coral, catching fish, playing chess and making friends with the locals. Tough life! Somewhere near the western end of Flores we came across some commercial fishermen. Their boats had big outboard engines, they used hooka diving gear and spear guns and had a huge floating net of large, colourful fish – big wrasses and even turtles – swarming mindlessly in a crowded cage (see photo below). The catch would be shipped back live to Singapore to sell on the international market, some fetching $50 per kilo. 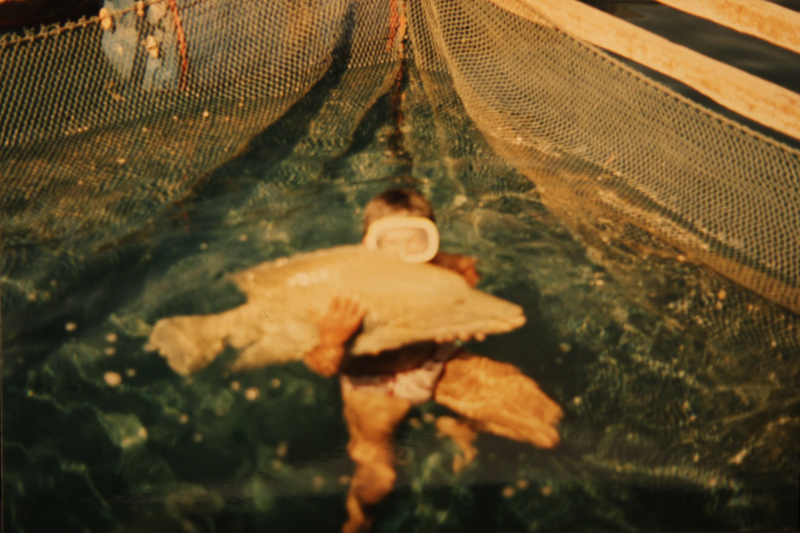 I remember wondering whether they were fishing illegally, and I thought it was wrong that they were catching large, beautiful tropical fish. 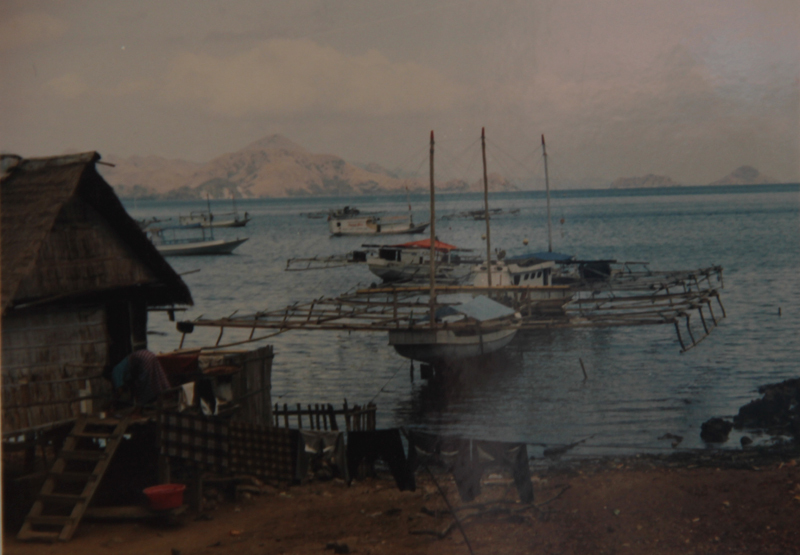 Our final stop in Flores was the touristy port town of Labuanbajo where we we refuelled the boat, filled the water tanks and prepared for a change of scene. Komodo island was one of the most anticipated ports of call on our itinerary. And it didn’t disappoint. The dry and rugged island looks quite inhospitable, which is fitting as it’s home to the famous flesh-eating lizards, the Komodo Dragons. On the way in we stopped at a tiny islet called Punja where I snorkelled with some harmless, but impressive-looking, reef sharks. When I was back onboard a whale surfaced alongside our boat. Wow! When you’re that close to a whale it’s the sound (water exhaled through the blow hole) that strikes you just as much as the sight of it. We anchored in Telok Slawi and all night I listened to fish jumping and whales blowing as the water around us teemed with life. 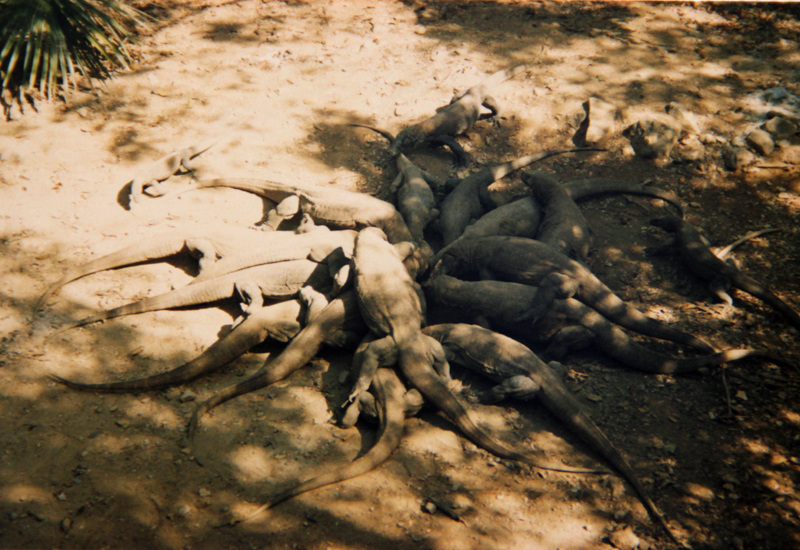 The next morning we went to see the Komodo Dragons, large aggressive monitor lizards. Three times a day the tour guides walk a live goat down to the lizard pit so the tourists can watch the dragons feeding. I have to say that I preferred the wildlife below the water – give me sharks and whales any day! As we moved further and further west through the archipelago things became less remote, a wider choice of food was available (including Australian apples) and westerners were not such a rarity. The locals were still lovely and on many occasions we were invited to dine in people’s homes. This happened in Bima in Subawa where we watched Independence Day celebrations on August 17th. We got chatting to some people on the street and the next thing we were dining at their home with them. Then a few days later they came for a sail with us and shared some crayfish on deck. 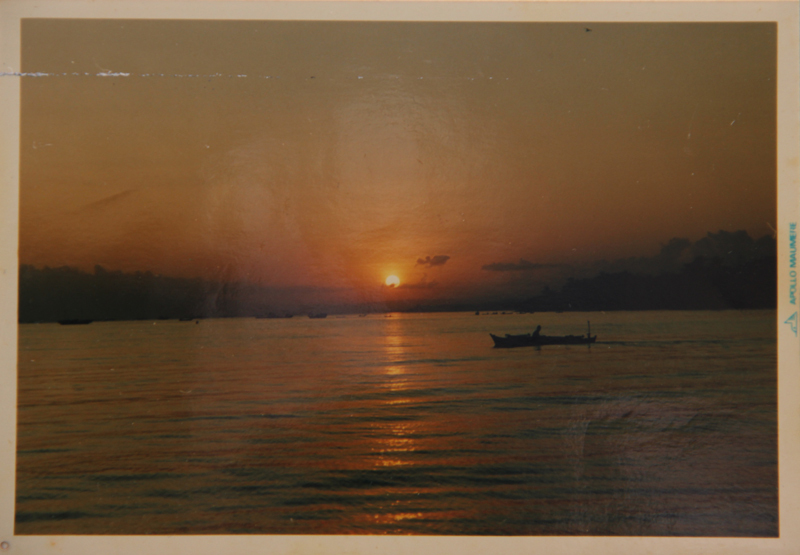 I remember the northern coast of Sumbawa being pretty special. 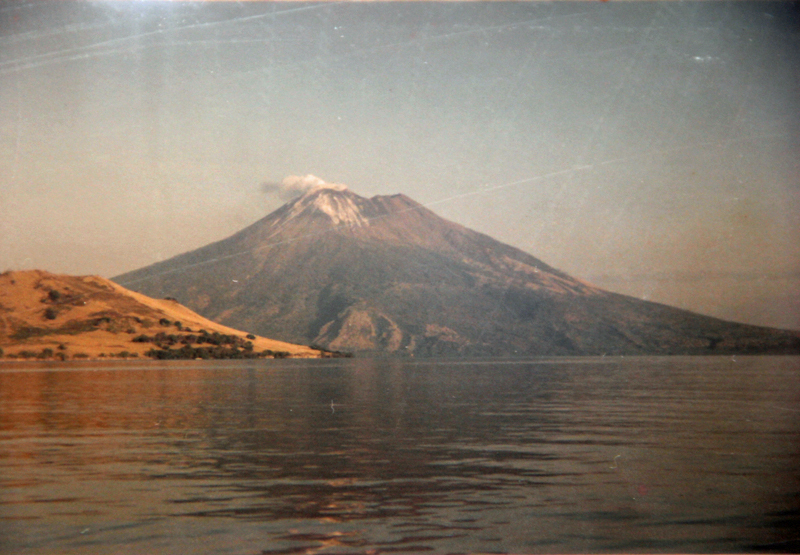 According to my log book we anchored at Kilo in Telok Sanggar on the slopes of an active stratovolcano called Mt Tambora. 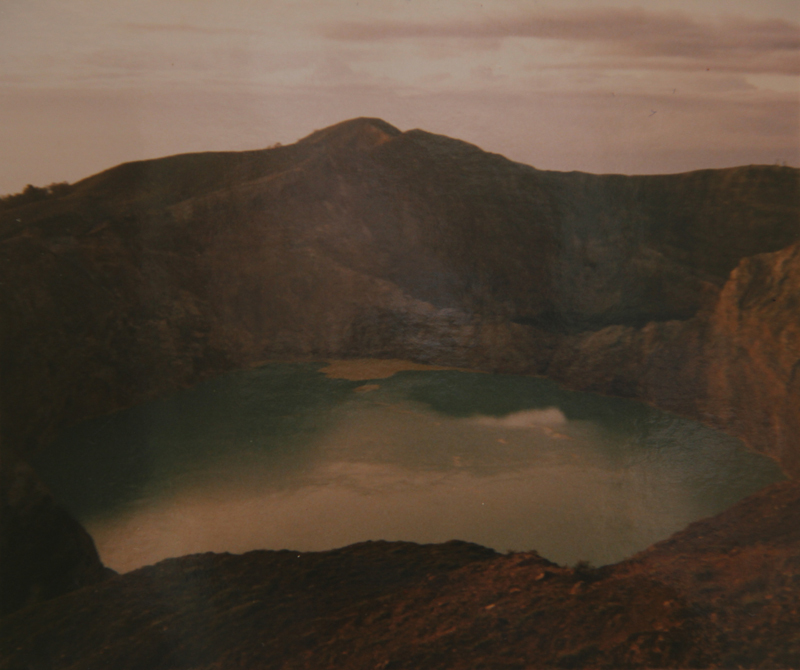 We skirted around the Tambora peninsula to Satonda island, a small collapsed volcanic cone, fringed with coral, where we walked up to a crater lake. 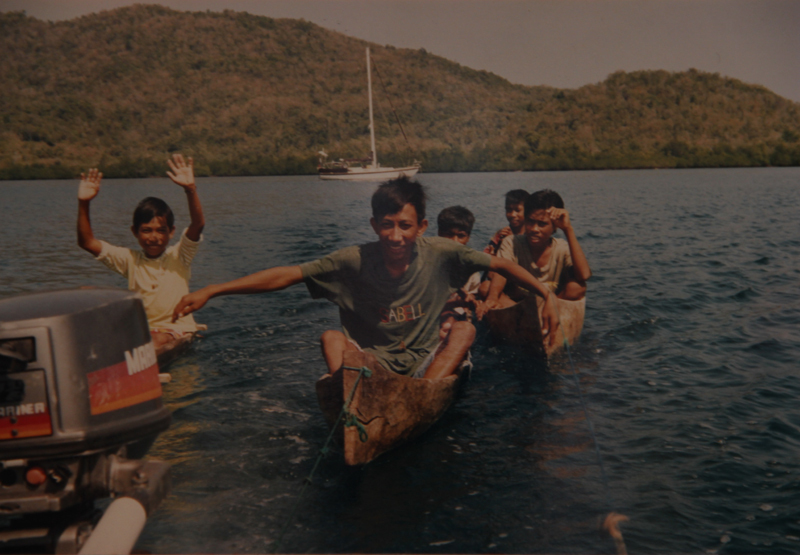 Then we sailed north to Pulau Pulau Tengah, a group of small islands about 35 nautical off Sumbawa and anchored at Sailus Basar, where we bought pearls from sea gypsies. I remember the immaculate villages on this extremely low-lying island, every house with a neat, fenced garden. We were invited to the local mayor’s house where we signed a visitors’ book. Who knows how long these communities will survive if sea levels rise even a few centimetres? As we got closer to Lombok, the vibe was getting much more touristy. We stopped off at Lawang island, off the north east corner, then Gili Ayer, and Senggigi which seemed like a megalopolis to us. The good thing was essential supplies were easier to come by so we took the opportunity to stock up and make some repairs. As we approached Bali my heart sank. We were entering the well-trodden tourist route and I felt sad that my extraordinary sailing trip might soon be over. But little did I know that jumping ship would lead me to more adventure. What a great story and beautiful pictures!! We’d love it it you would check out our stories!